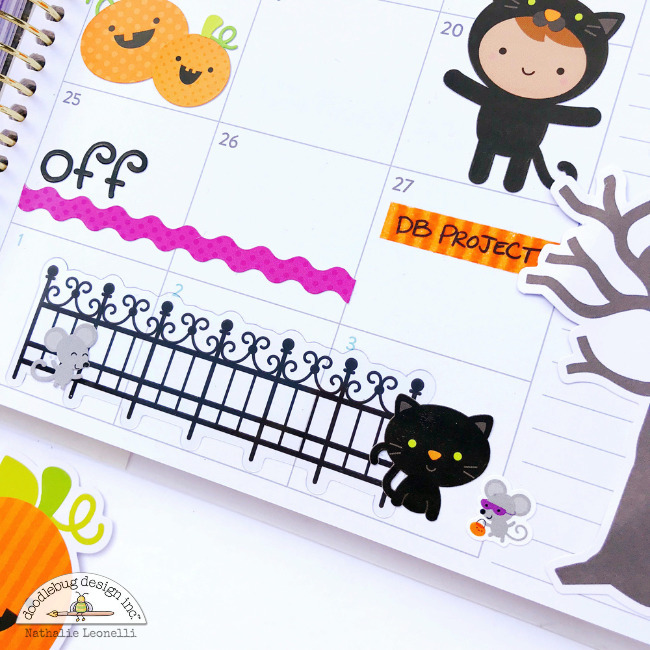 I first went for the banner stickers which are, like most stickers on these pages, from the Pumpkin Party Icons sheet. They, right away, gave a festive look to my planner. I use my monthly spreads mostly for planning my design team work and social media posts so I color coded my assignments thanks to assorted stripe washi tapes, using a permanent marker to write directly on the tape. The nice thing about this technique is that you can easily move the piece of washi to another date or take it off if plans change. In addition to stickers, I also pulled a couple die-cuts from the Odds & Ends as well as the Chit Chat packs (the "Eek!" above, the fence below, the tree on the edge, plus the moon and the "Spooky" speech bubble on the left page). I can't get over the cuteness of the mice and cat below! It's all in the details right? And how about those hanging spiders? Aren't they adorable? 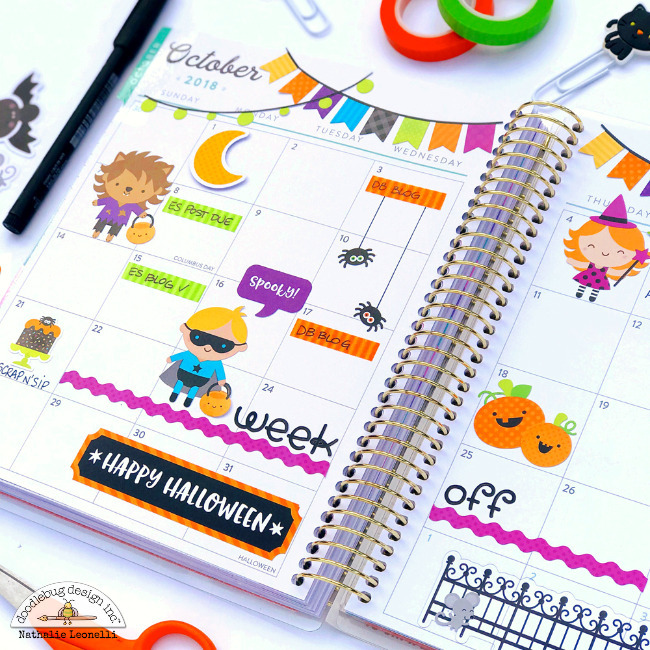 Really, you can not go wrong decorating your planner with Pumpkin Party! I love the different scales included in the collection. 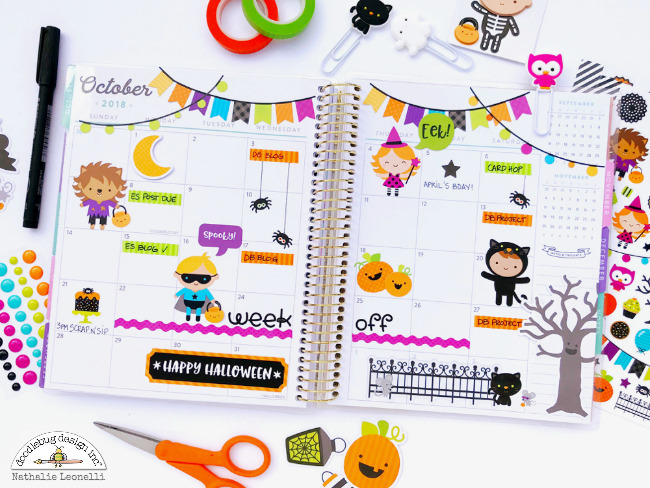 You will find stickers and die-cuts in varying sizes which work great whatever the format of the planner(s) you're using. I hope you have as much fun as I did with Pumpkin Party! So cute!!! 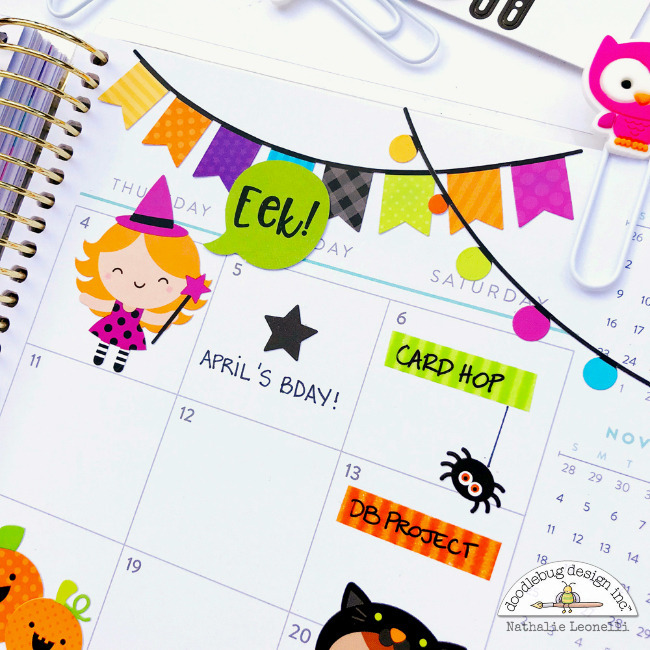 What brand of planner are you using? This is fabulous!! 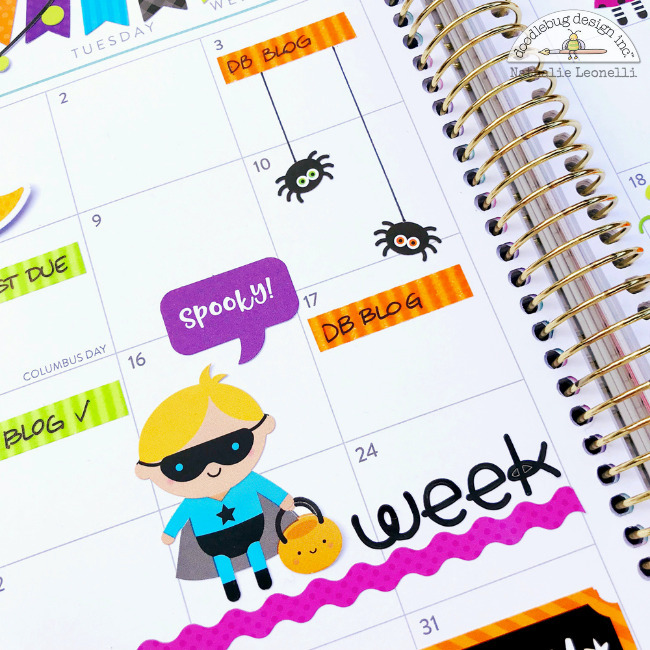 I definitely have planner envy!